Reading the New Testament offers an exciting and contemporary approach to New Testament Studies, which have changed dramatically in the past thirty years. James Crossley combines an introduction to traditional methods of source, form and social-scientific criticism with postcolonial, gender and political frameworks. He discusses reception-history, covering areas such as popular culture, party politics, historical theology and the politics of contemporary scholarship. He discusses Paul and Christian origins in continental philosophy, as well as offering a more traditional analysis of Paul’s theology and the quest for the historical Jesus. A selection of readings from contemporary scholarship is provided in the final chapter of the book. Reading the New Testament has been carefully designed to help students think critically and in wide-ranging ways about the texts of the New Testament and will prove a valuable resource for everyone engaged in serious study of the Bible. 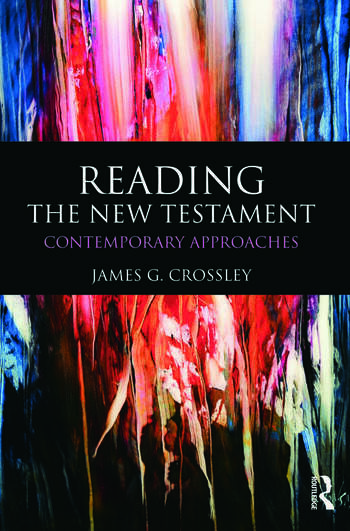 James Crossley is Senior Lecturer in New Testament Studies at the University of Sheffield. His research interests include the New Testament and biblical scholarship in historical, cultural and political contexts. His publications include Jesus in an Age of Terror (Equinox, 2008).